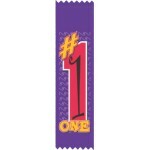 Colorful #1 Ribbon printed on a Purple background. 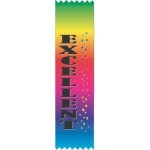 Ribbons sold in increments of 25. Shipping wil..
1st Place Ribbon is printed on a Dark Blue Background. Ribbons sold in increments of 25. 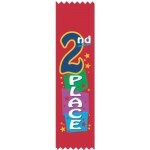 Shipping..
2nd Place is printed on a Bright Red Background. 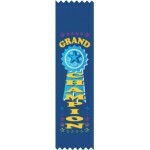 Ribbons sold in increments of 25. 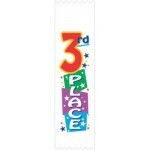 Shipping will ..
3rd Place is printed on a White Ribbon with Bright Colored Print. Ribbons are sold in increm.. 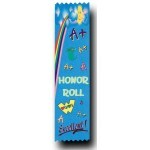 Reward your students for a job well done with our Honor Roll Ribbon. 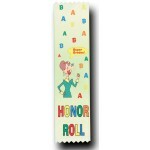 Ribbons sold in increments o..
A-B Honor Roll is printed on a Light Green Ribbon. Ribbons sold in increments of 25. 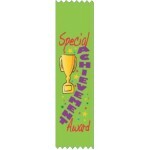 Shipping wil..
Special Achievement Award is printed on a Neon Green Ribbon. 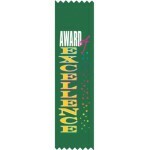 Ribbons are sold in increments of 25..
Award of Excellence Ribbon .. 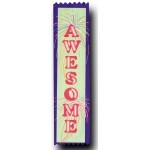 Awesome Ribbons are sold in increments of 25. Shipping will be added to your Invoice. 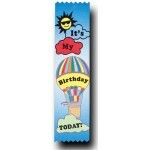 ..
Order this Birthday Ribbon to recognized your students on their BiG Birthday. Order in incre.. 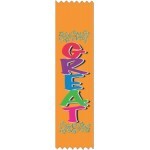 Colorful GREAT Ribbon Minimum Order • 25 Ribbons .. 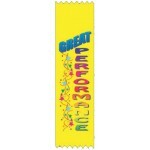 Colorful Great Performance Ribbon Minimum Order of 25 Ribbons .. 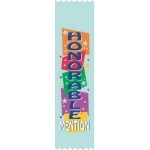 Honorable Mention Ribbon Ribbons sold in increments of 25 ..